"Well referenced and researched. . . . The therapeutic emphasis is on the safe use of cannabis plant material with a particular focus on childbearing. 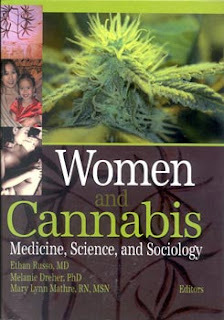 The book begins with an excellent review of the historical background of the use of cannabis in obstetrics and gynecology. The editors have drawn papers from three continents and from professions as diverse as biochemists and lobbyists. Nuances of North American drug control are addressed side by side with therapeutic mechanisms pertinent to women." -- Anita Holdcroft, MB, ChB, MD, FRCA, Reader in Anaesthesia, Imperial College, Chelsea and Westminster Hospital, London, United Kingdom.